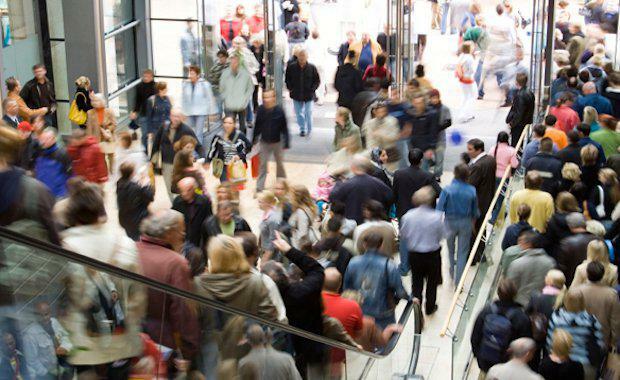 Research conducted by a chief economist has revealed Sydney’s busiest shopping malls have a big influence on how people spend their days in the city. Pitney Bowes, discovered that the populations of Chatswood, Bondi Junction and Castle Hill, which are home to some of the city’s biggest shopping centres, explode to more than 270,000 during the day. This number is more than five times larger than the typical Sydney suburb’s daytime population. In an interview with the Sydney Morning Herald, Mr Schwartz said Westfield centres were present in 11 of the city’s top daytime population zones, reassuring that The Westfield Group has emerged as one of the world’s largest shopping centre owners and managers. “Any large regional mall is essentially a self-contained city,” Mr Schwartz said. “The whole rationale for their existence is to offer shoppers a wide variety of just about anything they might like. Mr Schwartz said traders on the streets outside of the mall in areas like Penrith did not trade “nearly as well” as those who are inside. He said the knock-on effects from a big shopping mall were often not substantial for the local area.